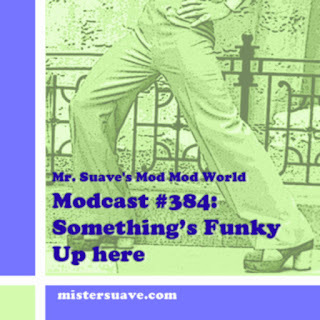 Welcome to Mr. Suave's Mod Mod World, got some new stuff from the Jimmy Lingon Band, The Chalets and Fobxoro Hottubs this week, as well as some sixties psychadelia from the Riot Squad, sixties beat sounds from The Remains, and sixties sounding garage rock from Thee Fourgiven. If you want to catch a couple of cool videos scroll on down and check out The Jimmy Lingon Band lookin' and soundin' a whole lot like the Yardbirds, and a great clip of Tres Bien that includes several of their TV appearances as well as some interview clips. So, I'm creeping up on having produced a hundred modcasts. I'd like to hear from any of you about what some of your favorite shows of the past were, or if you're in a band and would like to hear your stuff on the show, or if you have any other comments feel free to e-mail me at rob@mistersuave.com. Now go enjoy your life.